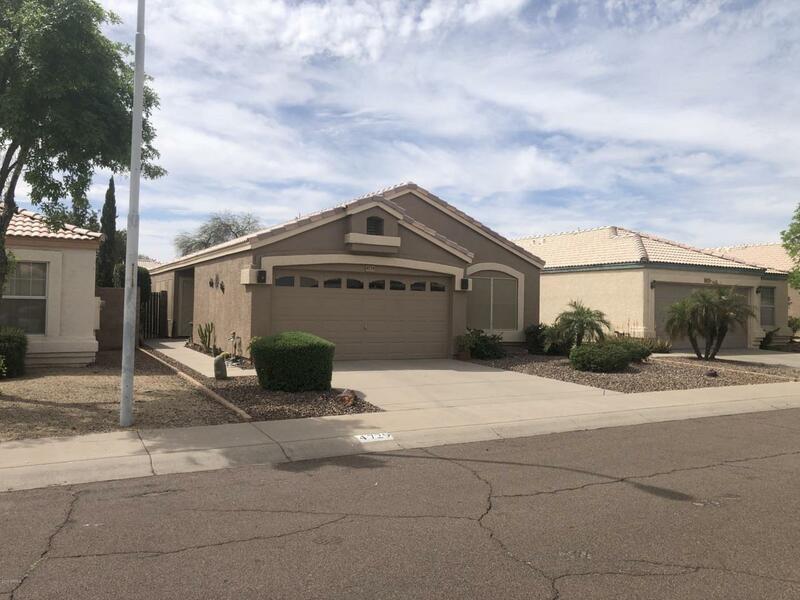 This rare Gem in Ahwatukee offers access to the highly sought after Kyrene School District plus all the great shopping and restaurants the area has to offer. Multiple freeway's friendly. This is a very functional single level home with split master bedroom floor plan and huge open great room with vaulted ceilings. The home is nicely upgraded with true pride of ownership. Large kitchen cabinets and counters with plenty of work space and storage. Large Master Bedroom features big walk-in closet, master bath with separate tub and shower and dual sinks. Ceiling fans in every room plus extra sun protection sun-screens that surround the home. Large private backyard with built-in BBQ and Covered Patio, nicely kept landscaping with many trees and bushes.